If you didn’t know where and how it all started, that time of year you either love or hate Valentine’s Day, started back in the Middle Ages with people sending small notes of affection. Now hundreds and hundreds of years on we still recognise it as a day of spreading love with friends, family or that someone special. 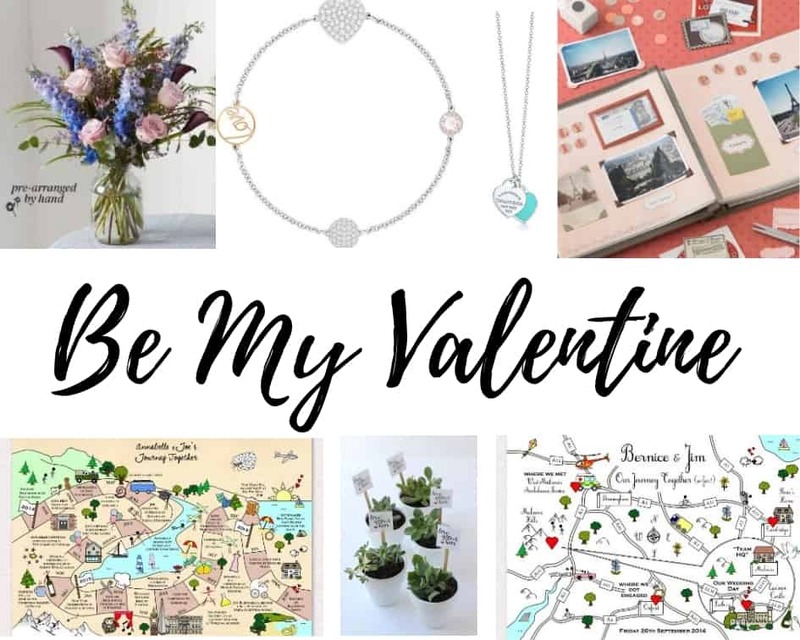 We’ve had a look for some great buys out there for this Valentines. Even if you doubt it, the surprise feeling when a flowers or chocolate delivery lands with you will bring a guaranteed smile- young or old, boy or girl. Flower bouquets and chocolates can be personalised and tailored to your loved one’s tastes and don’t forget to include a message, even if you intend to keep the sender a secret. The new dawn of flowers by post has spawned beautiful companies such as Bloom and Wild who offer a stunning array of affordable bouquets. Homemade gifts can be the most personal and often most cherished gifts. If money is tight or you’re looking for something personal consider a homemade scrapbook of your journey together, a little box or teapot with some keepsakes inside (ticket stubs, mini gifts etc, plan a night cooking your favourite foods together or take a craft class and gift the results! Here at Cute Maps we have two favourites suitable for whoever you decide to show your love to this Valentines. Our Cute Path Mounted Print is the perfect way to illustrate your journey together or even just your loved one’s journey in life so far. We have all kinds of requests from places visited, activities, pets, cars, favourite movies and broken legs! Or maybe our Cute Gift Map Mounted Print would suit your loved one better where you can pay homage to a special tour, road trip or your favourite places. Every design is made utterly bespoke so we use your locations and milestones to create your design, presented as a mounted print that will last a lifetime. Plants are a great gift because it can resemble how your love keeps growing or blossoming over time. It could be a fruit baring plant or maybe a bonsai tree. Trees are also a great idea if you have the garden space and the patience for it to grow! Winter Weddings can be the most romantic time of the year to tie the knot. The icy cold backdrop is ideal for both deep and pale colour schemes and wintery- like snowflakes, holly and rose petals. 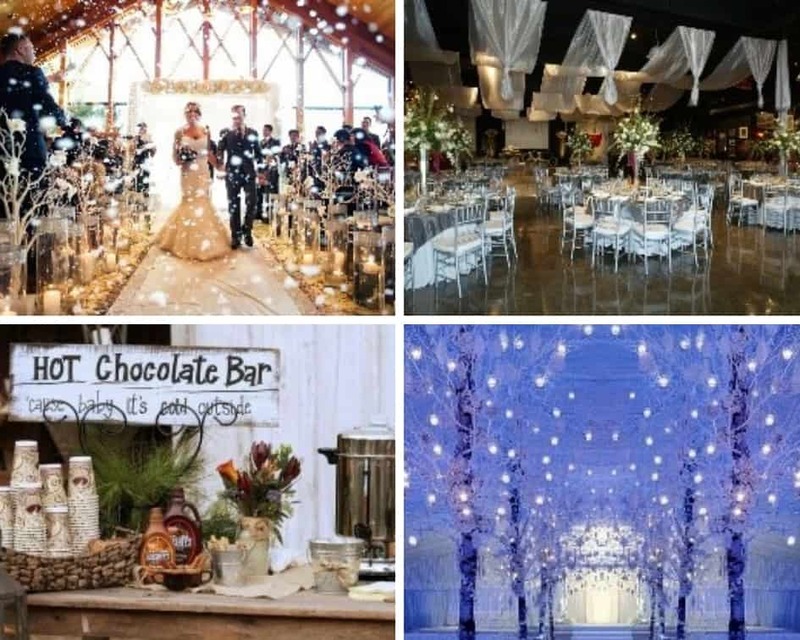 Here are some frosty wedding ideas for the perfect winter wedding. Even though we can’t predict the weather we can still make snow happen! Snow can fall as you walk down the aisle, as you say your vows or during your first dance. Whenever snow falls you’re guaranteed that magical effect that everyone will love. To keep guests warm and cosy a hot chocolate bar could be the answer. Make your own hot chocolate and add in extras like cream, marshmallows, cinnamon sticks and chocolate chips. Adults can be top them off with some alcohol liqueurs. Traditional white and silver will never go out of fashion for winter nuptials. For a more contemporary feel ice blue with peaches or pinks give that playful winter wonderland feel. Grey and blue really complement each other and any shade of blue goes – ice blue, aqua or a teal. Crystal embellished or glitter covered shoes, bags or even bridesmaid dresses elegantly reflect the winter theme. For the bride, plush capes or fur wraps to keep warm in the outdoor photos. Double up your guests’ favours and the winter theme by supplying cosy slippers for your guests to change into to keep their feet toasty. Your reception can reflect an icy forest with icicles and snow sprayed twigs centrepieces. If falling snow is a bit extravagant, snowflakes can be projected onto the walls of the reception with changing colours or just an ice blue for that wintery feel. Motion projectors can be found for a good price at many retailers at the moment. For that cosy romantic feel drape fairy lights over the reception tables and windows. Rustic winter elements add a cosy and warm feel and are great for tithe barns and tipis. Wooden place settings and wintery centrepieces with pinecones or berries can be a different route to a winter wonderland sensation. Elegant lace, fairy lights, flowers, and candles are an obvious must in your décor wish list. And don’t forget to keep the theme flowing through your stationery. 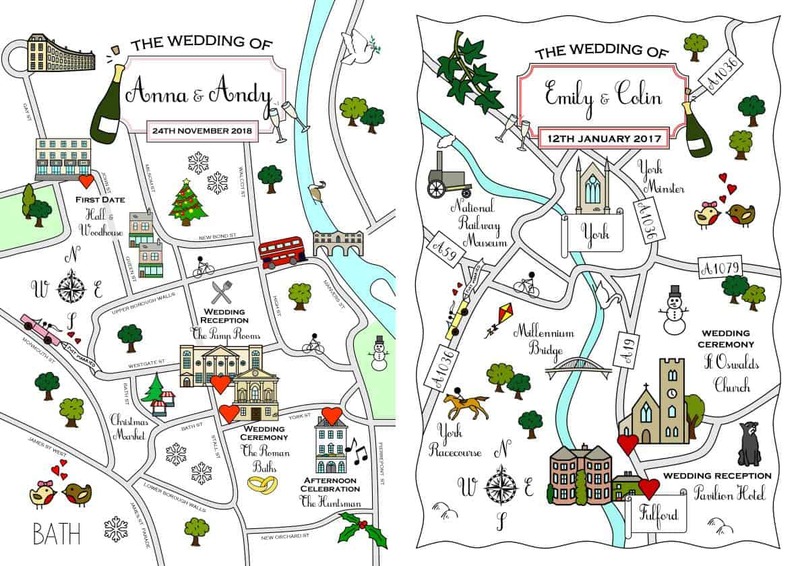 Check out the Christmas themed Cute Maps we previously designed. 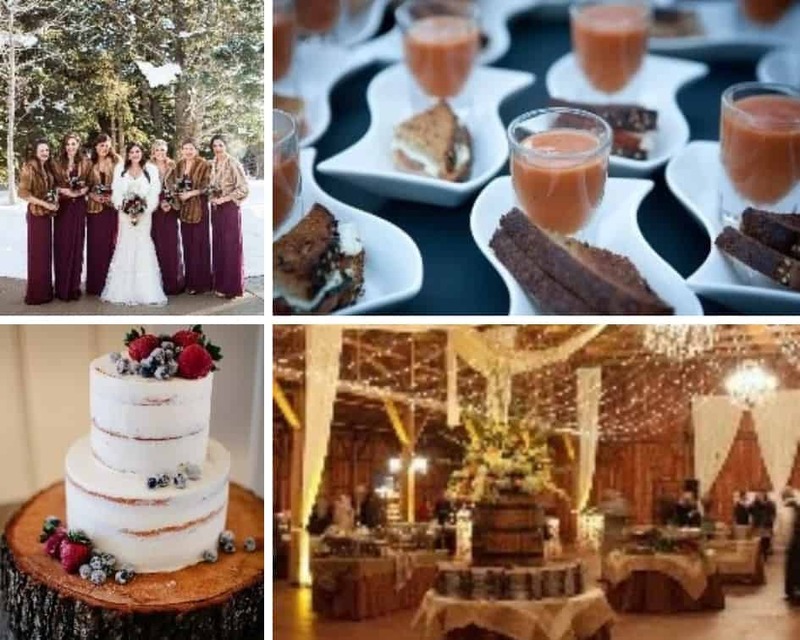 Think frosted berry garnishes, snowflake edibles, marble patterns or even theming the tiers in a wintery forest design. Just remember to check on prices and styles available local to your venue before falling in love with a cake design. Whether you’re serving meals or a buffet, warm, feel good food is probably the best route to go down and to make sure there is plenty of it! The cold weather is a perfect opportunity to bring everyone together with food and can be accomplished very easily. Classic wintery foods can be simply and cheaply made but pulled off with flair if done right. Classic soups can be served in small portions accompanied with a hearty cheese on toast, or maybe macaroni and cheese bites puts a fun twist on a classic. Anything with warm chocolate will go down a treat (allergy allowing! ): chocolate cake, brownies, melt in the middle puddings and three flavoured warm chocolate pots are my personal favourite with churros dipped in chocolate! After naturally being excited to receive a wedding invitation, many parents second thought will be the subject of if they can bring the kids. We’ve found some top ways to keeping the little angels entertained. A top way to entertain all ages and keep children focused for hours is a Lego centrepiece. To wind the children down in the evening a movie room is the perfect idea. Set the room up with comfy pillows, blankets, bean bags and maybe even some popcorn. 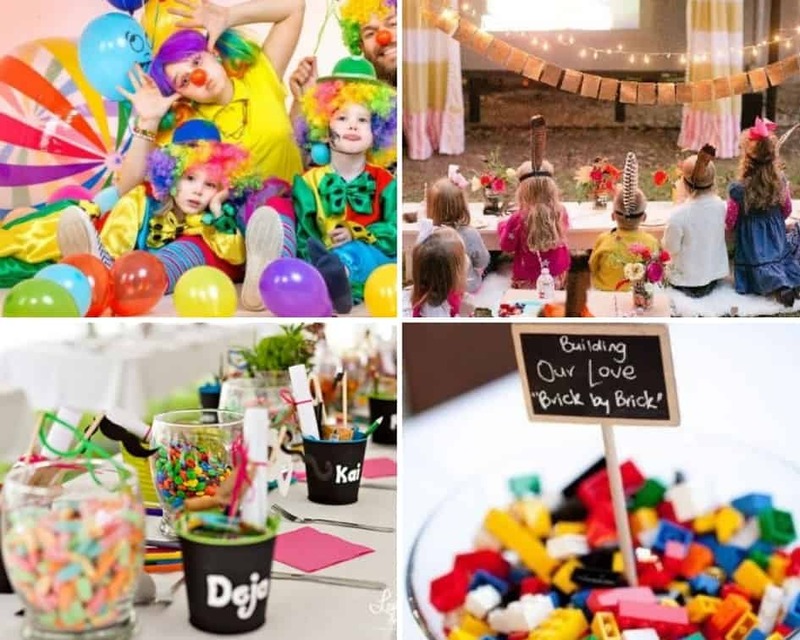 A professional entertainer could be considered if the budget allows for it – clowns, magicians, princesses and balloon makers can keep an eye on the kids whilst parents can relax and enjoy their evening. Table football, arcade games and video games can be great for those older aged children and the young adults. These can be hired or take a look on Facebook Marketplace or Gumtree where you may be lucky to land one at a small price, that you can re vamp to Brides Vs Grooms as our featured picture above. 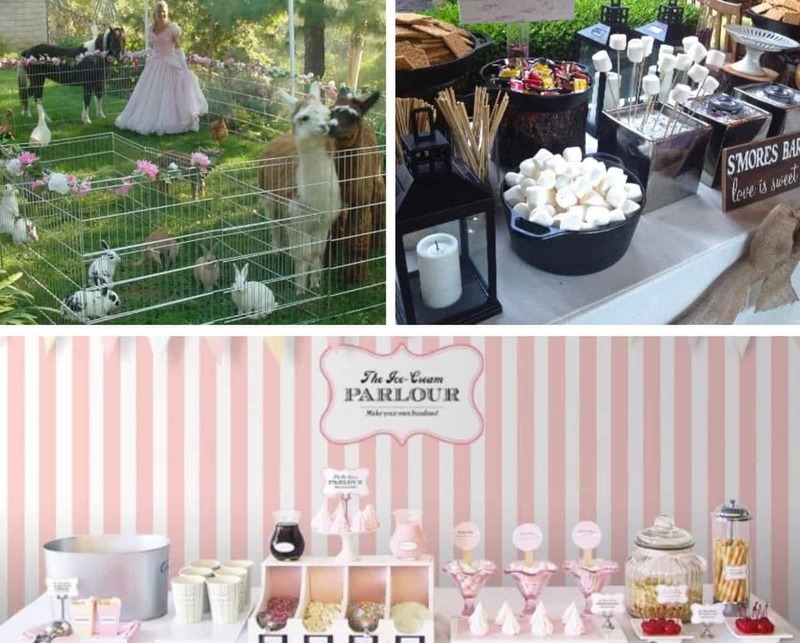 A popular trend at the moment is including furry animals at the wedding. It could range from having a petting zoo to lovable alpacas. This keeps the children entertained and probably most of the adults too. When its time for desert invite the children and adults to a smore station. This is a great opportunity for the children and adults to mix and get to know one another. Nothing brings people together more than chocolate does! Ice cream probably comes a close second to chocolate, so why not accompany the smore station with an ice cream one. Here children can pick their favourite flavours and toppings and can always go back for more. 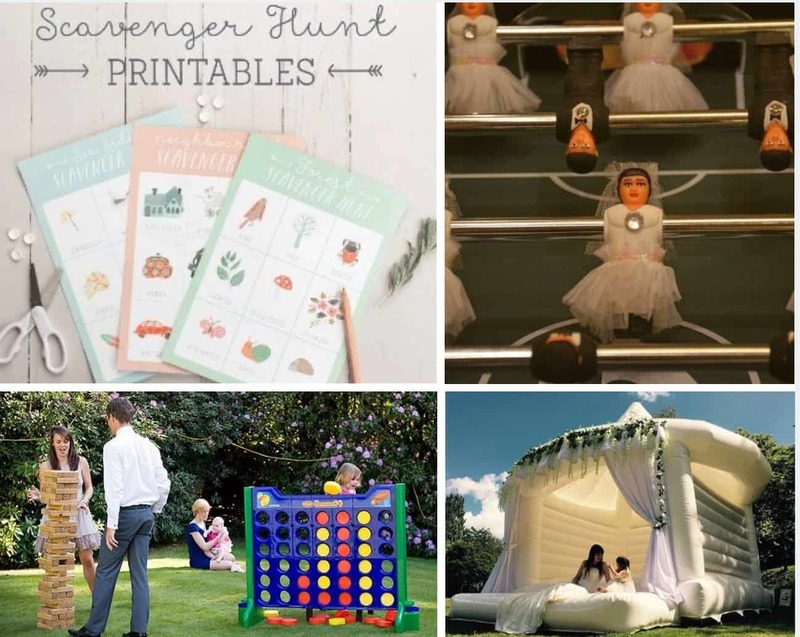 Here are just a few ideas for keeping children entertained at weddings. Everything depends on budget, but even if the cost is low DIY and simple activities can be just as much fun as an entertainer or bouncy castles!